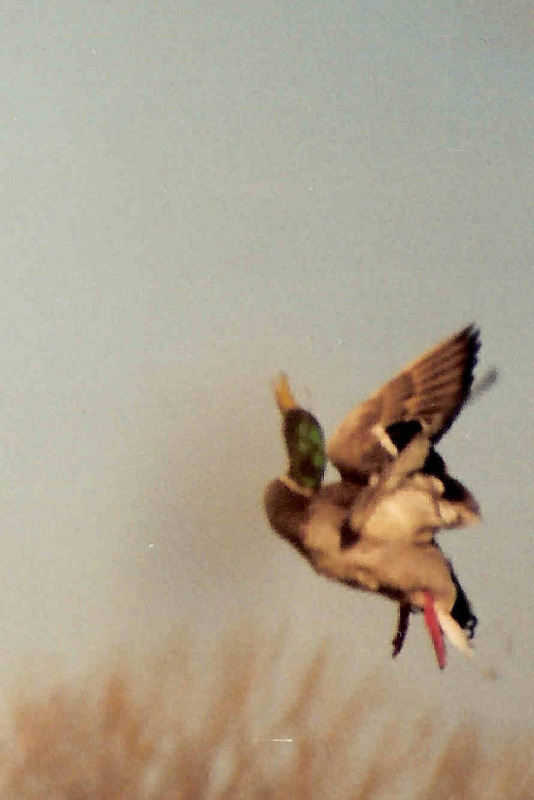 I have seen folks that are excellent wing shots shoot miserably from the boat the first time they try duck boat hunting. Shooting while sitting with your legs straight in front of you takes a little practice. One of the first things you need to learn is how to get your gun through the blind and not have a face full of grass. Practice will solve this problem. Practice shooting some clay birds from the sitting position. Most of the shots I take from the boat are birds hovering over decoys. These are the easiest shots possible, they are practically sitting still. You have to realize that you don’t have the same freedom in movement from a boat as compared to sitting on a 5-gal bucket. Practice, practice, practice or hunt a lot and you will become good shot from the duck boat.